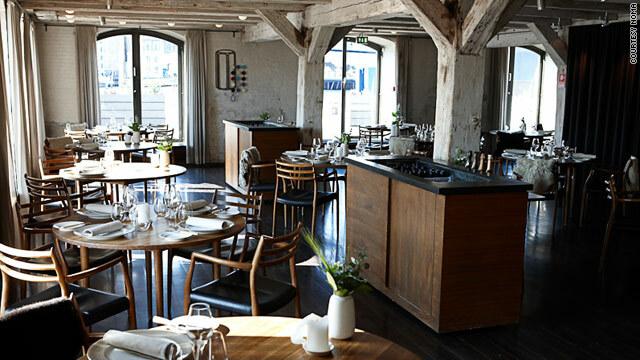 This year's top-ranked restaurant, Denmark's Noma, helmed by chef René Redzepi, ranked at No. 3 in 2009. (CNN) -- Danish cuisine reigns supreme, according to some of the planet's most prominent eaters. S. Pellegrino's annual "World's 50 Best Restaurants" list was released on Monday at a celebrity-chef-studded event in London, England, marking the ninth edition of the much buzzed-about (and hotly debated) catalogue of the international culinary landscape. The No. 1 spot goes to Noma in Copenhagen, Denmark. The restaurant, helmed by chef René Redzepi, ranked No. 3 in 2009. The Guardian newspaper's restaurant critic Jay Rayner -- better known to U.S. food fans as a judge on "Top Chef Masters" -- agrees with the judges' decision. Writes Rayner on The Guardian's food blog, "Is that the right result? Allowing for the fact that I think the rankings are far less interesting than the list itself, I would say, yes." "Redzepi, the 32-year-old chef at Noma, pursues a regional, seasonal agenda that is right on the cutting edge: if it isn't available in the Nordic region, he won't cook with it," he continued. "The result is a very idiosyncratic style of food that speaks to concerns about the way a global food culture turns our eating experiences a uniform beige." Noma's ascension to the top slot ends the reign of a culinary titan. After four consecutive years ranked as the World's Best Restaurant, Spanish restaurant El Bulli takes a seat at No. 2. However, that won't make it any easier to snag a table. Only 8,000 reservations are accepted every year, out of a reported million requests. The dethroning of Catalonia's culinary king, Ferran Adrià, comes after his announcement of plans to close the Mecca of molecular gastronomy for two years in December 2011. In 2014, the restaurant will reopen as a nonprofit foundation -- "a think tank of gastronomic creativity" for 20 to 25 young chefs. Despite the second-place finish, Adrià was still awarded Restaurant Magazine's Chef of the Decade honor. The illustrious list is compiled by The World's 50 Best Restaurants Academy -- an 806-member panel of the globe's most venerated chefs, food critics, restaurateurs and gourmands. "The list creates tremendous debate -- and it's meant to," according to the World's 50 Best release. Eight of the restaurants crowned this year -- Alinea in Chicago, Illinois; Daniel, Per Se, Le Bernardin, Momofuku Ssäm Bar, wd~50 and Eleven Madison Park in New York; and The French Laundry in Yountville, California -- are in the United States, this year's most honored country.